Call us today for an individual needs assessment. A native of Howards Grove, Amy learned early on the importance of family and planning as the daughter of a farmer/polka musician and owner of a local restaurant. 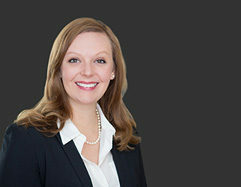 Amy is an attorney committed to helping individuals and families navigate difficult decisions and plan for the future. She practices in the areas of estate planning, Medicaid planning, elder law, and probate. Amy previously worked at MFJ Legal Services in New York City as a senior staff attorney and pro bono coordinator in the Kinship Caregiver Law Project where she worked with grandparents raising grandchildren. She has also worked as the public policy coordinator and lobbyist for Disability Rights Wisconsin. She currently serves on the Board of Directors for New Bridge of Madison and the Public Interest Law Section of the Wisconsin State Bar and is also a member of the Dane County Bar Association. Amy received her B.A. from the University of Wisconsin Madison and her J.D. from the City University of New York School of Law. She also earned a Master’s in Social Work and Certificate in Applied Gerontology from the University of Wisconsin Milwaukee. Amy is licensed to practice law in New York and Wisconsin. Contact our office for a consultation.